The decree came into effect the day it was signed. The president also appointed Vladimir Resin, Luzhkov’s deputy, as acting mayor. Resin already chaired the meeting of the Moscow city government. Medvedev, who is visiting China, said the reason for signing the decree follows from the document itself. “As the president of Russia, I lost confidence in Yury Mikhailovich Luzhkov as the mayor of Moscow,” he told reporters in Shanghai. “It is difficult to imagine a situation in which a governor and the president of Russia as the top official would continue working together if the president loses confidence in the head of the region,” Interfax quoted him as saying. Acting Moscow Mayor Resin is capable of keeping the city under control during the selection of candidates, Medvedev noted. Luzhkov drew criticism this summer for continuing his vacation as smoke from forest fires blanketed the city. 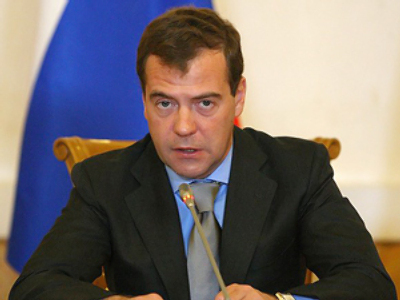 In early September, he supported the construction of a new highway to St. Petersburg through Khimki Forest, although the plan was suspended by Medvedev. Luzhkov had received warnings from the Kremlin, and several state-run TV channels showed documentaries about mismanagement and corruption in Moscow. The TV reports also mentioned Luzhkov’s wife – and Russia’s richest woman – Elena Baturina. Medvedev informed Prime Minister Vladimir Putin of the mayor’s dismissal before signing the decree, the president’s press secretary Natalya Timakova said. The move is partly explained by the fact that Luzhkov occupied a senior position in the ruling United Russia party. Commenting on Luzhkov’s dismissal, Putin said the mayor should have taken timely measures to normalize his relations with the president. 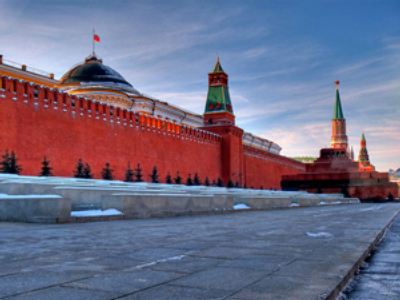 Putin described Luzhkov as a man who is “to a certain degree a symbol of modern Russia” and has done a lot for Moscow. At the same time, it is the mayor who reports to the president, not vice versa, Putin stressed. He assumed Luzhkov should have taken steps to normalize the situation caused by his “conflict” with the president. United Russia regrets that one of its founders, the Moscow mayor, “has lost the president's confidence due to his own errors,” said Vyacheslav Volodin, secretary of the presidium of United Russia’s general council. According to Boris Gryzlov, the State Duma speaker and chairman of the party’s supreme council, the Luzhkov issue was discussed during the United Russia’s leadership meeting with the president on September 23. “The president made the right decision and didn’t let Luzhkov continue to mock public opinion and conduct deadly urban construction policy,” said Nikolay Levichev, head of the parliament’s faction of the opposition Fair Russia party in the State Duma. Luzhkov had a week to step down with dignity, but his statement yesterday that he intended to go on working “simply cancelled all the 20 years of work at this post,” Levichev said. Whoever replaces Luzhkov, the main thing is that “he or she works honestly,” the deputy said. “The spouse of the new mayor should not engage in commercial activities in the territory within his or her jurisdiction,” he told Itar-Tass. Luzhkov could have resigned “on his own accord that is expressed by a resignation notice to the president, or with a tougher phrasing – for loss of confidence,” Itar-Tass quoted her as saying. She noted that Luzhkov had taken a week’s vacation to “think about further developments” and coordinate his departure. Prime Minister Vladimir Putin is not going to meet with Luzhkov either. Luzhkov, who has governed the Russian capital for 18 years, learned the news of his resignation at his workplace early in the morning. City government officials were preparing to congratulate him on his birthday which he already celebrated on September 21 in Austria. After the news broke, many of those gathered at the mayor’s office were shocked, the media say. According to Mitvol, the former mayor did not look depressed. He told his colleagues he had learned about his dismissal from the Internet. Luzhkov will fight for the return of direct elections of governors and mayors, a city government official told Interfax. “At a meeting with the government members Luzhkov said… one of the tasks he has set for himself will be to restore the institution of mayoral elections in the capital,” the official said. Politicians and analysts, however, doubt that Luzhkov will be able to establish a kind of opposition movement and retain his present ardor for future political battles. “I think he can only retire on pension,” said Sergey Mironov, speaker of the Federation Council, the upper house of the parliament. Mironov, who also heads the opposition Fair Russia party, stressed that Luzhkov’s dismissal may lower the rating of United Russia. Some United Russia officials initially assumed the former mayor may be excluded from the bureau of United Russia’s supreme council. Luzhkov is unlikely to retain his positions in leading bodies of United Russia, a source in the Kremlin told RIA Novosti news agency. “The ruling party will hardly trust someone who does not have the confidence of the head of state,” the source said. 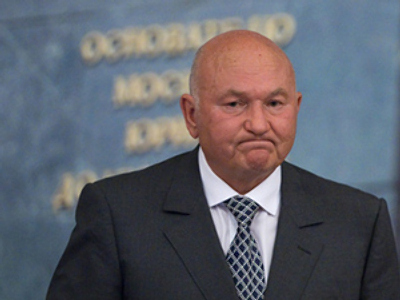 However, later on Tuesday, Luzhkov quit United Russia himself. He thanked the Moscow branch of the party for their support to him, the city government’s press service announced. Luzhkov, whose term of office had to expire in summer 2011, described the campaign against him as “wild harassment” that went beyond the limits of decency and common sense. Many are now wondering who may become the next mayor of the Russian capital and the country’s richest city. United Russia has started consultations on nominations to be submitted to the president, the head of the party’s Moscow branch Elena Panina said. She expressed hope that social policy pursued under Luzhkov and welcomed by many senior Muscovites would remain unchanged. Meanwhile, the party’s website cited Dmitry Orlov, director general of the Agency for Political and Economic Communications, who believes that Deputy Prime Minister and government office head Sergey Sobyanin and the Kremlin property manager Vladimir Kozhin were the most likely nominees for the mayor’s position. The most important thing is that the new mayor is chosen quickly and the situation in the city remains stable, the analyst said. “Medvedev understands this,” he added. The new candidate will not be from Luzhkov’s team, believes Konstantin Simonov, president of the National Energy Security Fund. “It is absolutely clear that Resin is a temporary figure,” he told the party’s website. “I still hope that not only Luzhkov himself has lost [the president’s] confidence, but the team created by him also,” Simonov said. “Fresh air would do no harm to the Moscow Mayor’s Office,” he stressed.